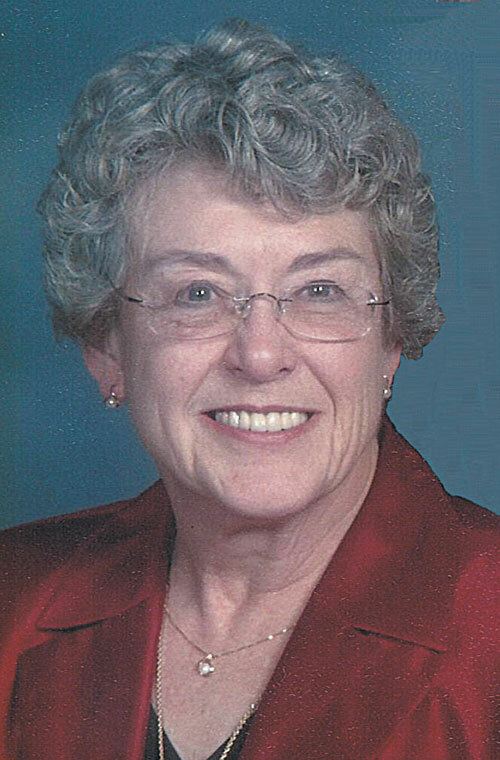 Theresa Marcella Reiter-Heilman, 83, of Fostoria, passed away peacefully Tuesday, April 9, 2019, at her home. She was born June 8, 1935, in Chicago, Illinois, to the late Dr. John Nicholas and Lucia T. (Korczyk) Kiebel. Theresa was a 1953 graduate of St. Wendelin High School and member of St. Wendelin Catholic Church, Fostoria. She graduated in 1957 from the University of Dayton where she earned a Bachelor of Science degree and a Nursing Certificate. She was a Registered Nurse and had been a Patient Care Coordinator for Community Hospice Care of Seneca County, where she was a hospice angel to many. She was honored to be designated the American Cancer Society Nurse of Hope for 1985-1986. Theresa married Thomas Richard Reiter, the father of her children, Nov. 25, 1954, at St. Wendelin Church, and he died Aug. 8, 1986. Theresa found love a second time and married Dale B. Heilman Nov. 30, 1996. He passed Aug. 28, 2017. Surviving are six children: Mark R. (Joyce) Reiter, Cary, North Carolina, Sarah J. (Steve) Toukan, Westerville, T. Jeffrey (Colleen) Reiter, Dearborn, Michigan, Nicholas A. Reiter, Fostoria, Elizabeth M. (George) Shiekh, Lakewood, and Jacob M. (Susan) Reiter, Ballston Spa, New York; 13 grandchildren: Audra, Jason, Emily, Mark, Claire, Olivia, Samuel, Brenna, Natalie, George, Hannah, Marcella and Conley; five great-grandchildren: Otto, Eliza, Madeleine, Elliott and Cora; six stepchildren: Becki Heilman, Kathleen Huff, Janet Chapman, Barbara Houser, David Heilman and Bryan Heilman; and two sisters: Patricia Beecher, Connecticut, and Margaret “Peg” Daignault, North Carolina. She was preceded in death by two infant daughters: Mary Margaret and Mary Susan; and three siblings: Irene Stump, Judith Newcomer and John Kiebel. Theresa was an accomplished pianist. Her musical talent included serving as an organist for St. Wendelin Church while she was a student at the school. She enjoyed reading, playing bridge, solving crossword puzzles, and playing Scrabble with her grandchildren. She was a grammar perfectionist. She loved to decorate for and celebrate Christmas. She will be fondly remembered as a loving wife, mother and grandmother. Visitation is 4-7 p.m. Tuesday, April 16, 2019, at Hoening & Son Funeral Home, 133 W. Tiffin St., Fostoria. Mass of Christian burial will begin at 10:30 a.m. Wednesday, at St. Wendelin Church with the Rev. Todd Dominique presiding. A rosary will be prayed at 10 a.m. at the church and a luncheon will follow the Mass in the parish hall.